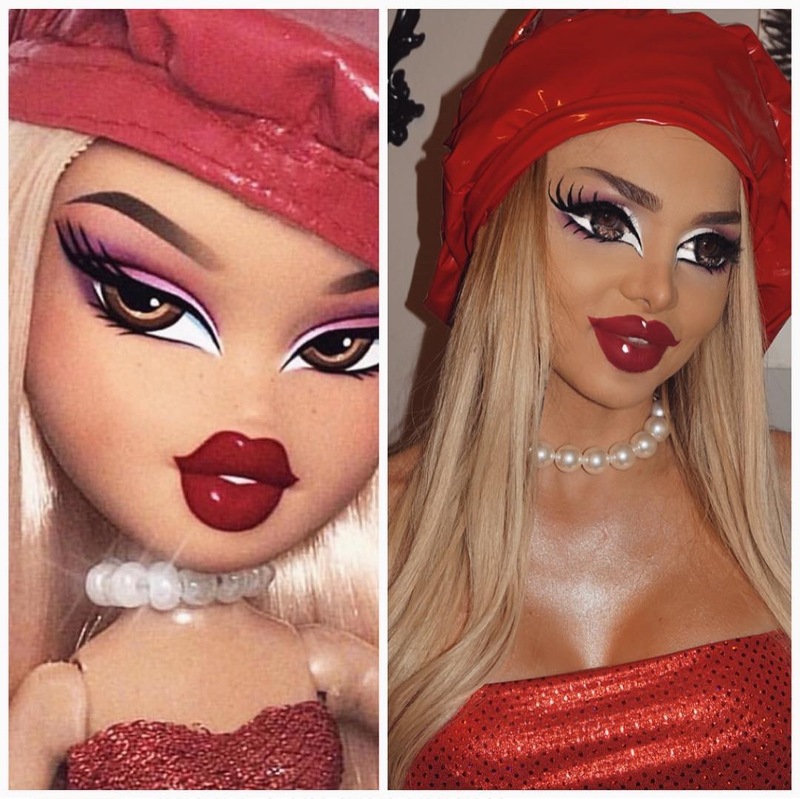 Remember Bratz Dolls? They were known for their killer wardrobes and self-confessed passion for fashion. Well, they are back but this time in human form. 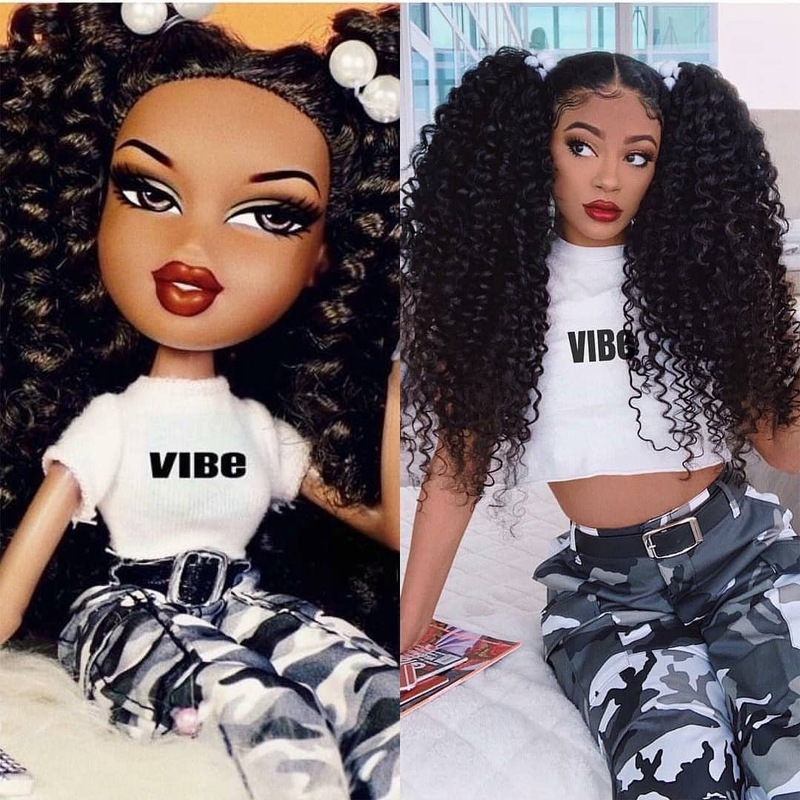 The Bratz Doll challenge – #bratzchallenge is the latest beauty trend sweeping across social media. 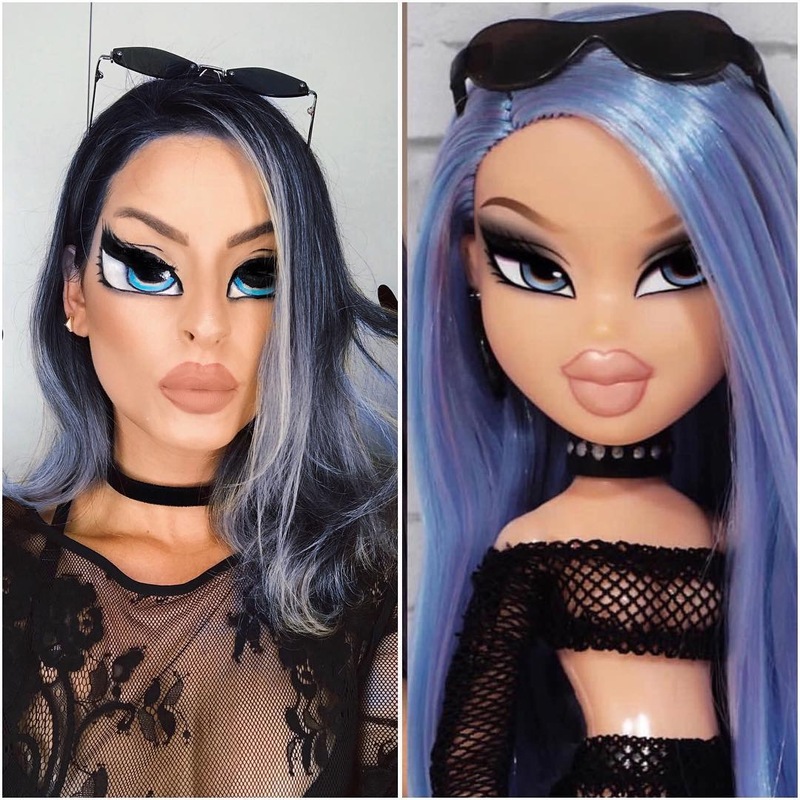 It involves individuals transforming themselves into living Bratz Dolls with the use of heavy makeup and sometimes, use of a filter. 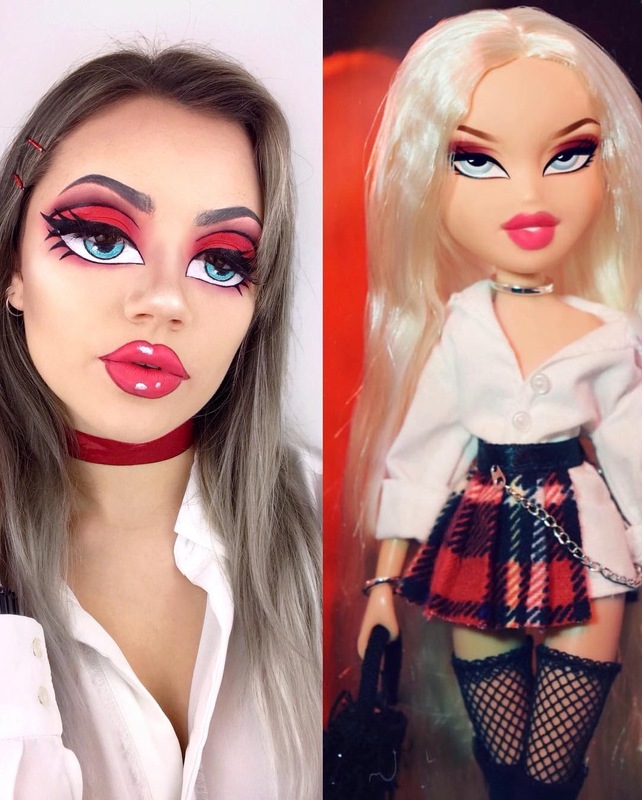 What first started as a small Reddit thread has since turned into a viral makeup challenge as beauty enthusiasts try their hands on Bratz Doll makeup looks. 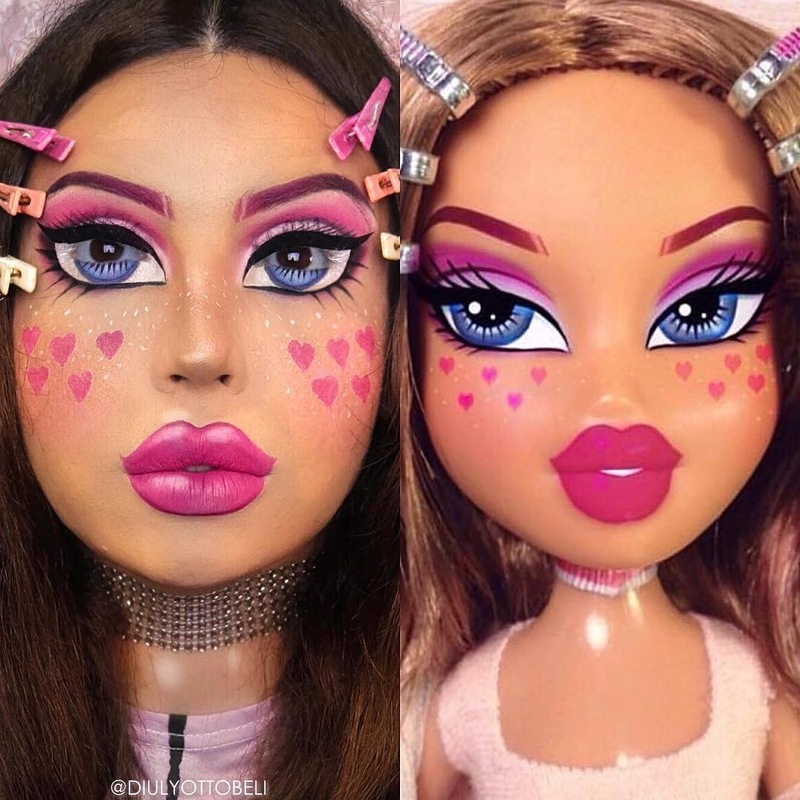 We have to admit that we pretty much learned everything we know about makeup from the very attractive Bratz Dolls. 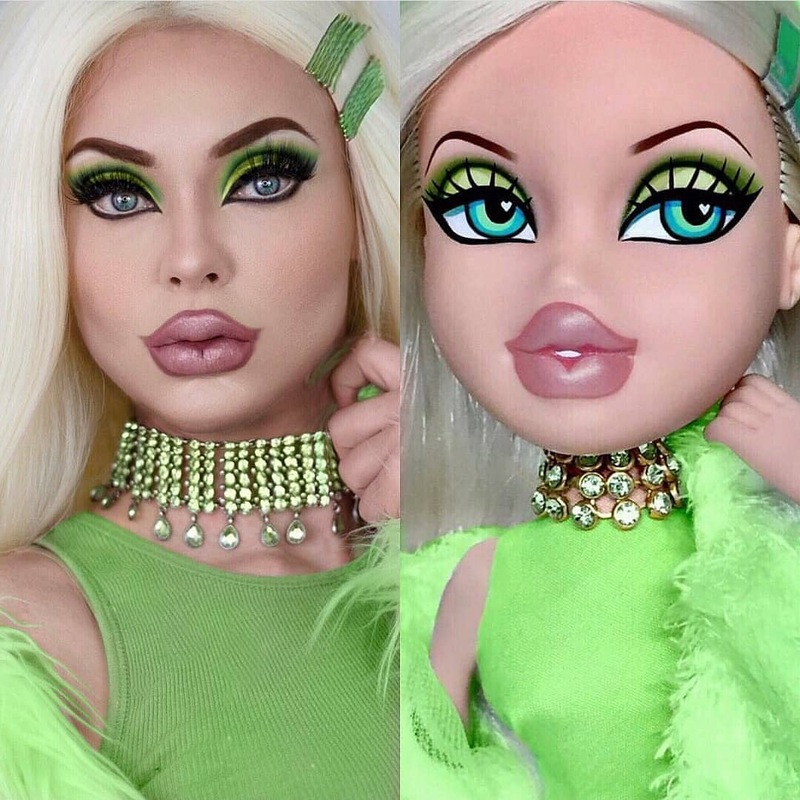 Now makeup lovers have gone from secretly admiring Bratz Doll aesthetics to actually transforming themselves into their favourite Bratz Doll. 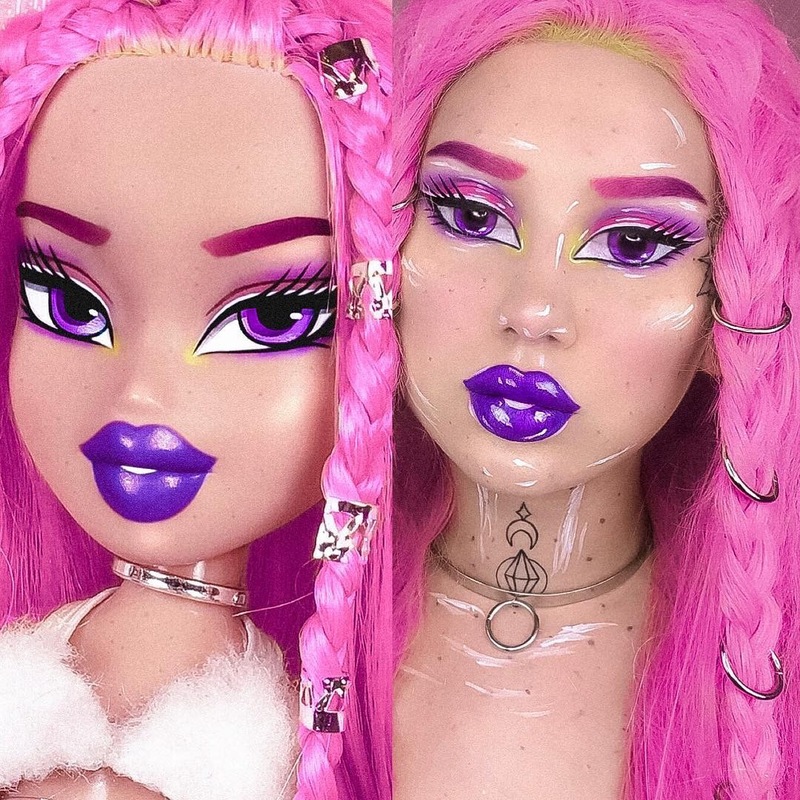 These looks are simply incredible and would give you the quiver and maybe, even make you want to buy more highlighter. 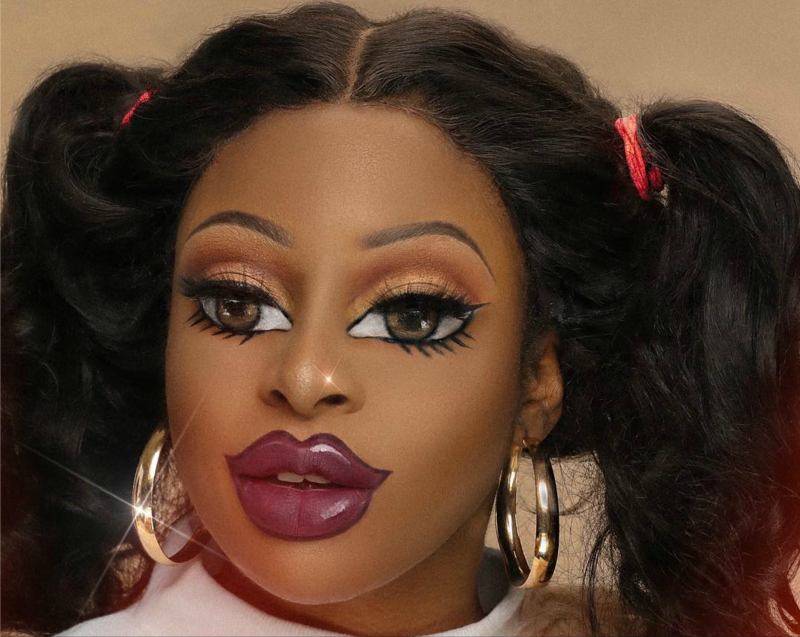 While we don’t know why these beauty aficionados would want to look like a doll, we must applaud their makeup skills as they are pretty impressive. Okay, we get it, it’s all for fun. 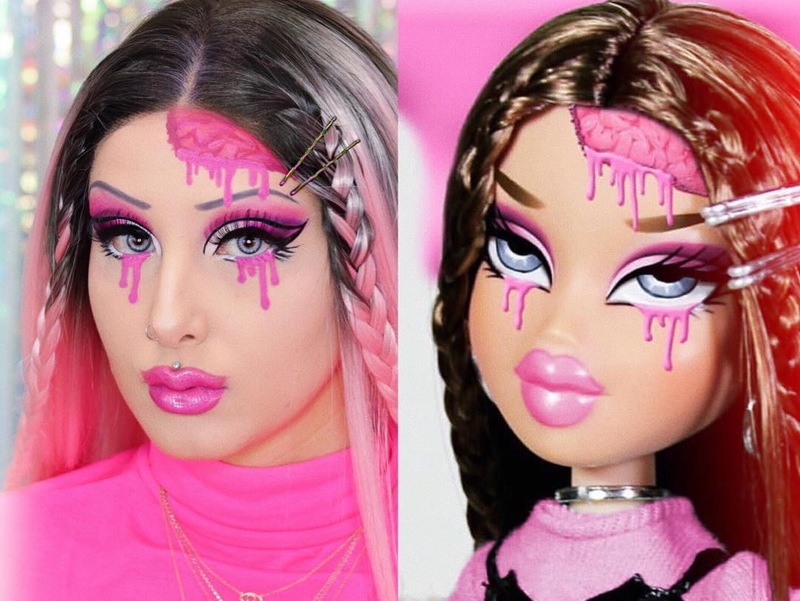 The results have prompted zillions of questions like how long did it take to achieve these looks? We are just stuck on the dramatic outcomes and passion used to create these.